Skechers is in full bloom with colorful sneakers for spring! These bright and bold sport trainers are going way past the gym. Read on to see the hottest new trends, and how to wear them in comfort. CHEVRON AND OMBRE: 3D zig-zag prints are back in a big way. Whether it’s high-fashion or dressed down, the bold pattern adds a modern touch to any look. 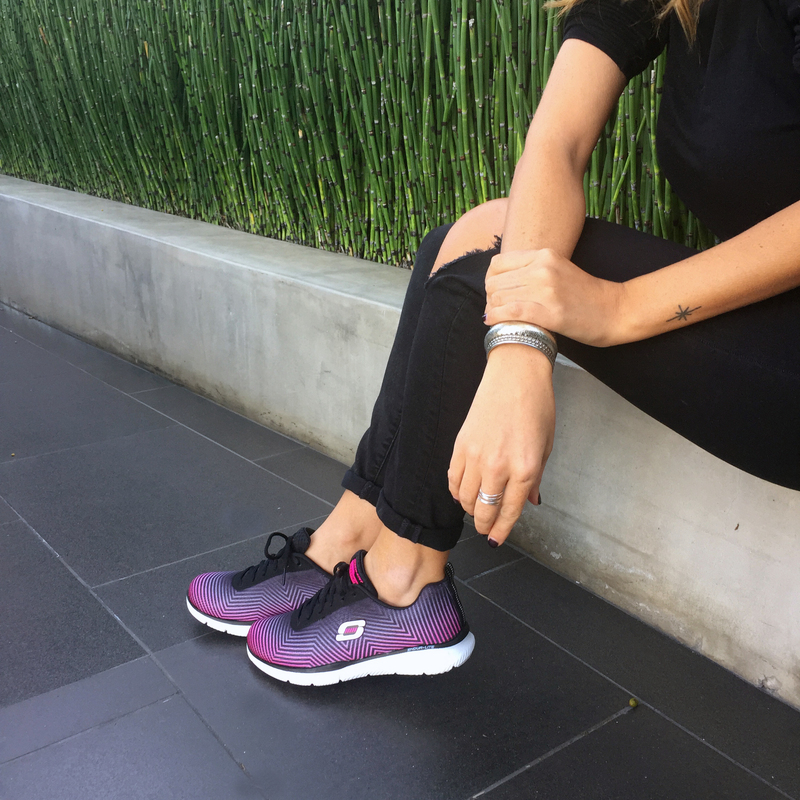 We’ve coupled it with ombre hues on the Equalizer – Expect Miracles: shown in a dazzling black and hot pink combo that can be worn with jeans or a workout at the gym. Totally versatile, totally adorable. This sporty trainer’s got comfort on the brain, thanks to a flexible seamless Skech-Knit design and an air-cooled memory foam insole to cushion your heels in comfort. Check out Demi rocking them here. A POP OF COLOR: Give your basic black yoga pant a big color boost! 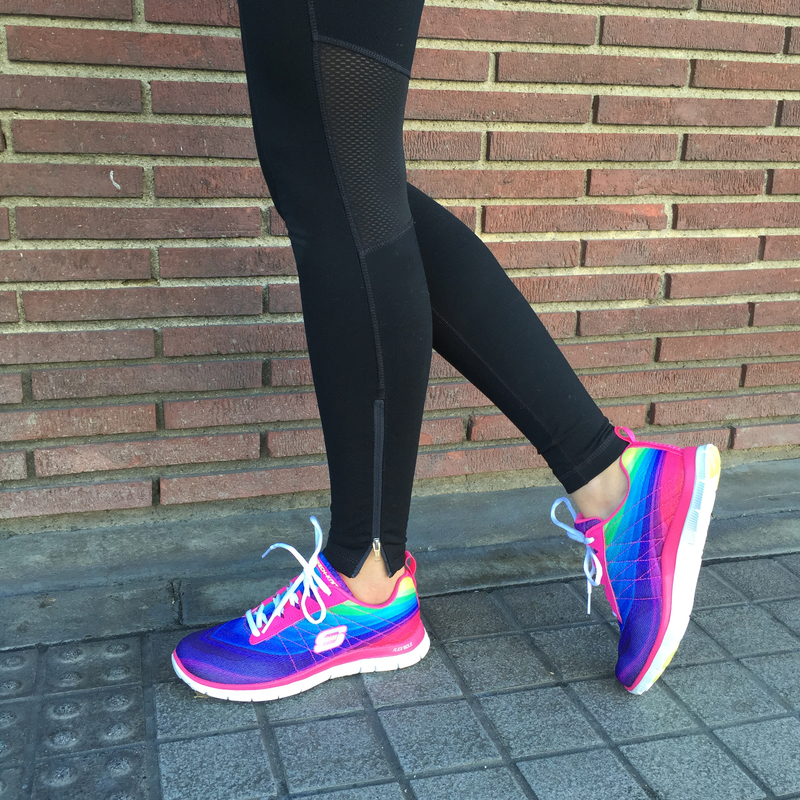 Bright and bold is all the rage – and our Flex Appeal – Pretty Please rainbow jogger has it in spades. Known as the “Demi” shoe (from her national Skechers campaign), it’s a fan favorite, and not just for Lovatics: everyone’s getting into this sole’s breathable design, seamless Skech-Knit upper and gel-infused memory foam insole cushioning. PRETTY IN PRINT: Bold designs are one of 2015’s hottest trends – and floral is sprouting up everywhere. We’re giving it a tropical twist with the Flex Appeal – Floral Bloom sneaker: a delicious new way to stay sweet all spring into summer. Fun and feminine, this sporty style is comfy as it is cute with a high-flex sole and cushioned Skechers Memory Foam insole. Pair it with a summer dress or fun printed yoga pants: it’s perfect for dressing up any outfit. Following up on last year’s wildly successful Super Bowl ad starring the adorable pup Mr. Quiggly for Skechers GOrun, SKECHERS USA, Inc. today announced that the Company will return to the Big Game with two unique campaigns. The first will use humor and animals to illustrate the speed of Skechers GOrun 2 performance running footwear and is slated to air during the two-minute warning of the first half. SKECHERS will also enlist football legend Joe Montana for a second advertisement to air during the second quarter. 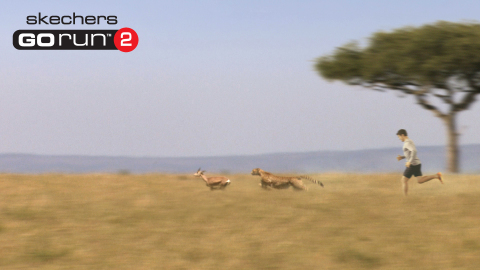 For the Company’s performance brand, a cheetah takes center stage this year when the world’s fastest land animal goes head-to-head with a human wearing Skechers GOrun 2. 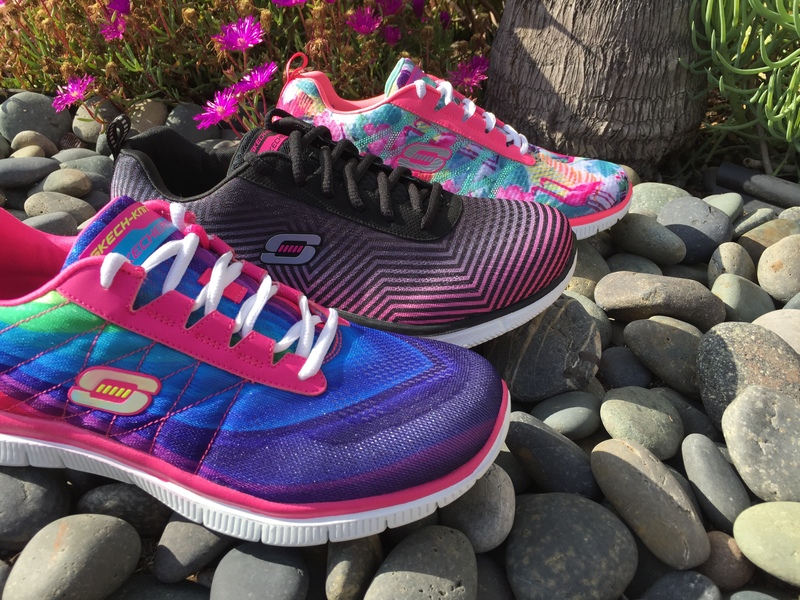 Like the cheetah, Skechers GOrun 2 footwear is lightweight, sleek and fast. The Company debuted the original Skechers GOrun collection on the feet of a spunky French Bulldog during the 2012 Super Bowl, and the much adored “Mr. Quiggly” commercial achieved a third place ranking at the top of the USA Today Ad Meter, making the pooch a media darling and bringing global recognition to Skechers Performance footwear. For the SKECHERS Relaxed Fit collection, Hall of Fame quarterback and four-time Super Bowl champion Joe Montana is the face of the successful footwear line that’s designed for comfort with a roomy toe area and memory foam insole. 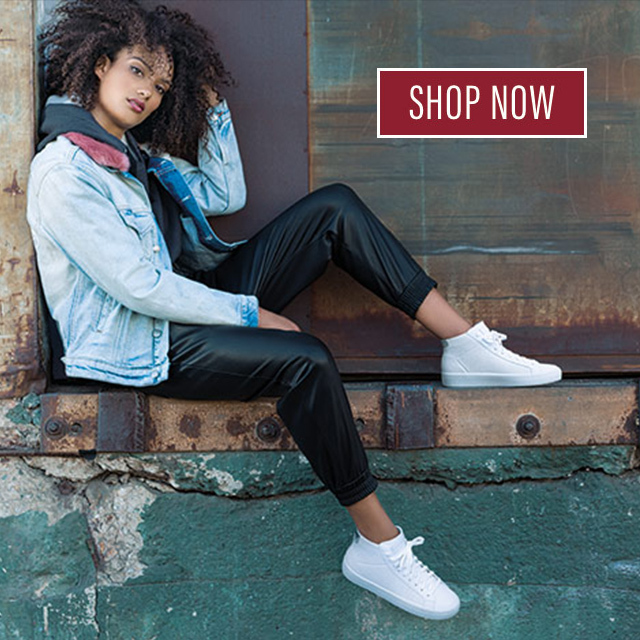 Montana previously appeared in a SKECHERS Relaxed Fit campaign during Fall 2012 that also included ads featuring basketball and baseball icons Mark Cuban and Tommy Lasorda. The 2013 Super Bowl campaign marks SKECHERS‘ fourth consecutive year of commercials on the world’s biggest advertising platform. In its first year, the Company utilized the star power of Joe Montana to launch its fitness division, and then followed up in 2011 with Kim Kardashian in the Company’s fitness footwear. Basketball and business icon Mark Cuban joined Mr. Quiggly in 2012 for SKECHERS’ most successful Super Bowl campaign thus far.